Design, innovation, art: The interior design, elegant with hints of countryside vintage decor and modern art elements, is the result of the creativity of Paolo, an artist who has been able to customize every corner of the room. The dining rooms conceal works of contemporary art, ancient tools of the agricultural world, paintings and antiques to be discovered. What unites the team Acquamatta is a passion for a job that rewards us every day. The staff shares a common goal: transmit to our guests the culture of eating well, which is vital to the well-being of the body and the mind, in a location immersed in nature. Let yourself be mesmerized by our recipes and let yourself be pampered by our friendly and helpful staff. Respect for the environment and innovation: thanks to a geothermal heating, our restaurant exploits the spring waters of the Roggia Raina providing heat and electricity required for the air conditioning of the rooms. 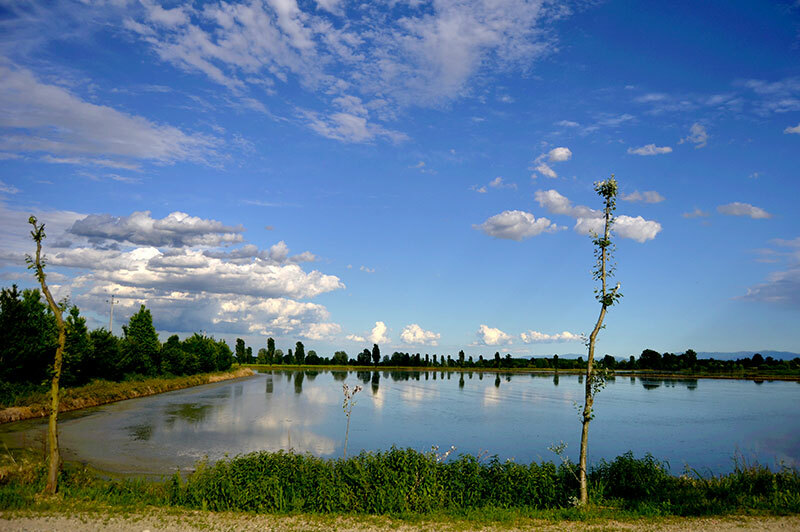 We love the land of Lomellina and one of our goals is to preserve its natural aspects. We believe in the power of nature and its ability to create a perfect balance with the peasant traditions. 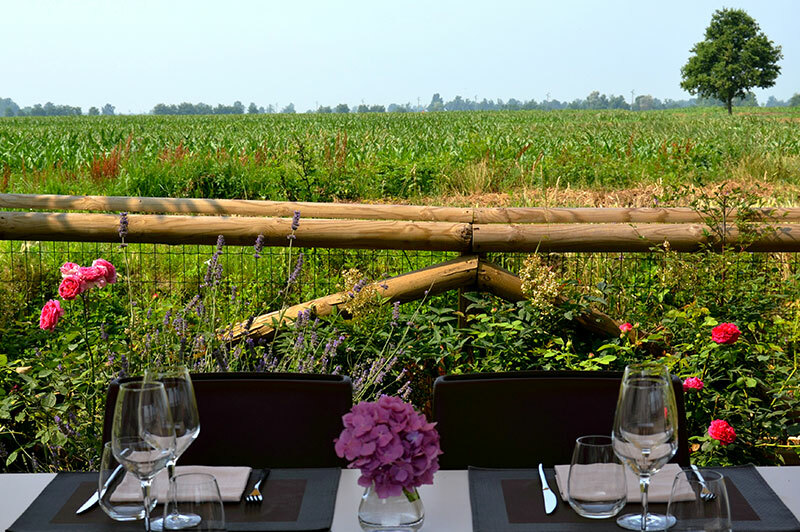 In an old mill existing since 1827, in Semiana, in the rice fields area of Lomellina, an idea became a project. This project brings together art and culture, food and wine: Acquamatta. Nestled among the most important heronry of Lombardy, a few steps from the Roman beauties of Lomello, Acquamatta enjoys an extraordinary location. It resides among the most famous castles and natural reserves and monuments of Lomellina. Its own courtyard is bordered by the Roggia Raina, which supplies water to the rice fields.